Enriched with minerals and nourishing botanicals, this creamy, easy-to-blend concealer covers and perfects while moisturizing the skin. Comfortable and longwearing, it provides medium coverage with a natural luminous finish. Everyone has one or two make-up products they won’t leave the house without – mine is without a doubt my concealer and my mascara. Concealer is essential for me as I suffer from allergies which leave me with dark bags underneath my eyes. On top of that, I also like to keep it in my make-up bag in case a blemish creeps up. I like this concealer because it applies beautifully – it’s not too thick nor too thin and it spreads nicely. It looks natural and even though it’s a little bit darker than my skin tone, it somehow adapts to my colouring perfectly. I apply a little bit of translucent powder over it just to set it, and it lasts all day long – no touch up’s required. Though I’ve always loved the M.A.C brand, this is the product that got me sold. I don’t think I’ll ever try another concealer after this! I have been using the MAC Mineralize Concealer for almost a year now and have found that there is nothing better than the coverage I have with this product. the matte finish and coverage has got to be the perfect fix for me. My face doesn’t have that cracking or caking where the concealer is applied, it blends perfectly with my skin for the most natural look. I love using this product when I haven’t had enough sleep or after a long night of partying. It reduces the dark circles under my eyes and it works beautifully with the MAC Pro Longwear Foundation and mineralize powder. It has a consistency similar to the Mac Pro Longwear Foundation, just slightly thicker, and comes with a lip gloss type of applicator brush, which easily glides the product onto my skin! 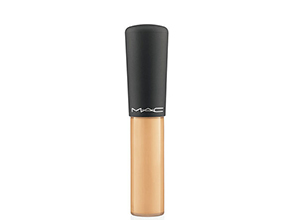 I have been allergic to many concealers on the market – but not the MAC mineralize concealer. This product is compact and easy to carry around wherever you go… Perfect for covering up spots, dark eyes or just for a quick touch up! Recently had an acne breakout at the age of 30!!! One of my worst skin experience ever. Rushed off to my nearest Mac store which was recommended by a friend. I wasn’t too happy with the size of the bottle but it lasted :). It is easy to apply, covered every spot to perfection and lasted almost the whole day. It is a bit pricy, but worth it. I cannot venture out in public without it.